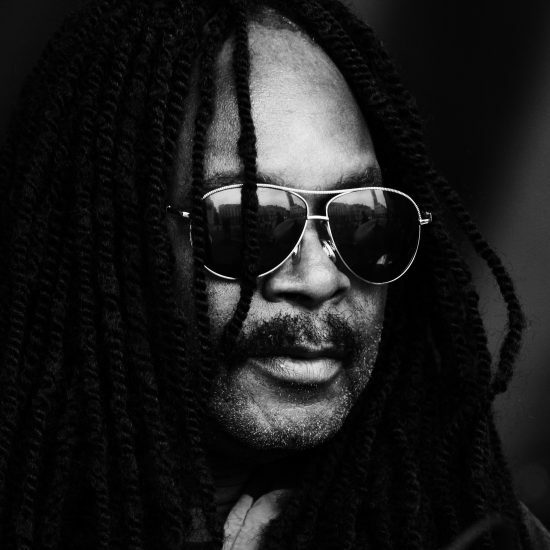 Alphonse Mouzon liked the word “tenacious”; he reveled in his tenacity throughout his life. He was a young black man who came to New York from South Carolina to establish himself, and establish he did! He embraced New York and New York embraced him. We met in 1973 to discuss forming a thinking man’s fusion band, and that band was the Eleventh House. Alphonse was a prolific, original composer. On top of that, he was a drummer with more power and strength than I’ve ever heard. When he sat down and started to play, the whole drum set would shake. When he hit the toms, you could hear it in Siberia. One time in Seattle, around 1974, I asked Alphonse to play an intro to my tune “Birdfingers”: His intro was 30 minutes long—a percussion masterpiece—and when the band finally came in it was like opening the gates of heaven. He was a consummate musician. He was also a great husband and father, and a loving and steadfast friend. His nickname for me was “Cory.” We initially connected through music, but as the years rolled by we connected through life. We were spirited rivals on the tennis court. He beat me most of the time with his killer forehand. With tennis, like everything Alphonse did, he gave it 200 percent. He gave everybody 200 percent and then some—there was no holding back with Alphonse. I have never hooked up so well with a drummer as I did with him. He instinctively knew where I was going. We were tight. I am really going to miss playing with him. I can hear him telling me, “Cory, you’re never going to play with another drummer as bad as me!” And he’s right. Alphonse was generous, happy, upbeat and committed to life and music. He’s departed from us in the flesh but his spirit will never die. I will miss my friend, this genius named Alphonse Mouzon. Brother ’Phonse, rest in peace, and I’ll see you on the bandstand again—sometime, somewhere.